Frank Brangwyn (NY/CA/UK/Belgium, 1867-1956) watercolor on paper, landscape view of pastoral homestead on a waterfront, signed in initials and dated lower right, "FB 86". 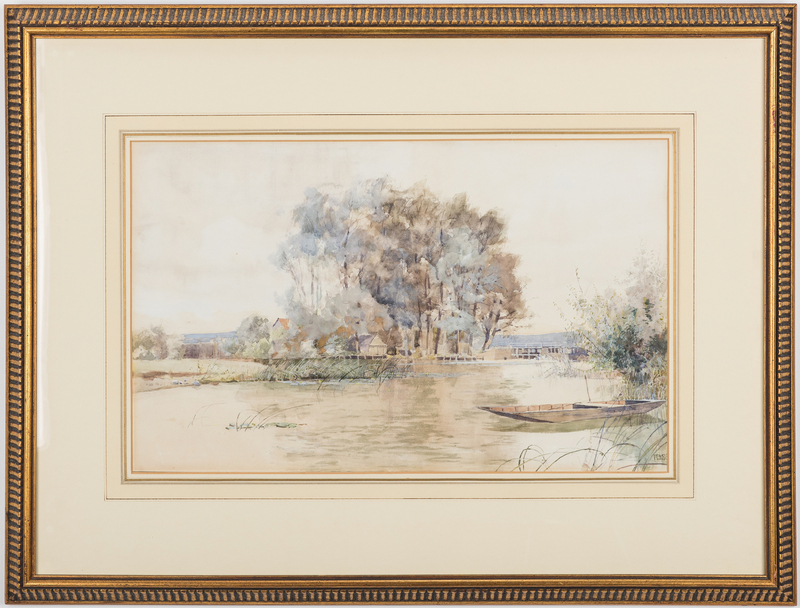 Sight – 14 1/2" H x 23 1/2" W. Newer gilt frame – 27" H x 35 1/4" W. Note: we wish to thank Libby Horner for confirming the authenticity of this signature. Provenance: The estate of Ann Cook Calhoun, Nashville, Tennessee. 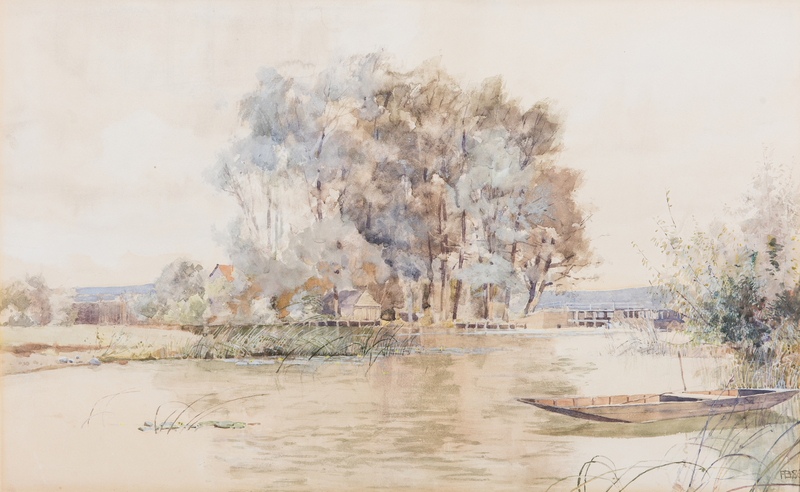 Biography: Frank Brangwyn was a prolific British painter, printmaker, draughtsman, and designer. 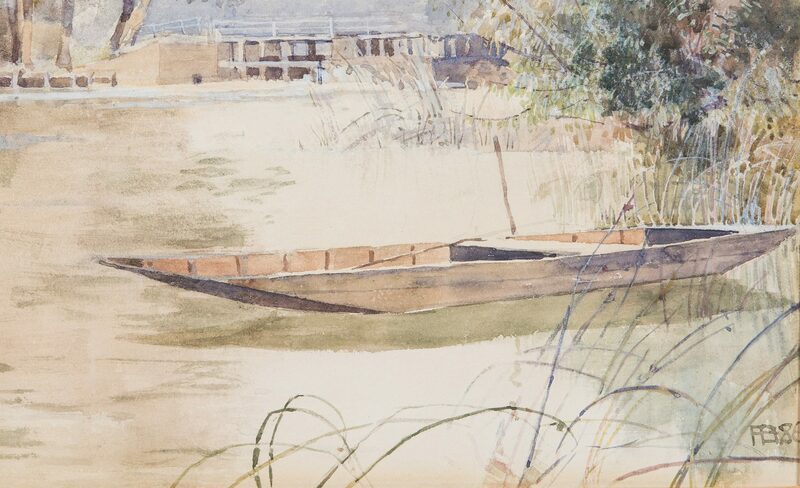 He served an apprenticeship with William Morris in 1882-1884, and like Morris, he was active in a variety of fields. 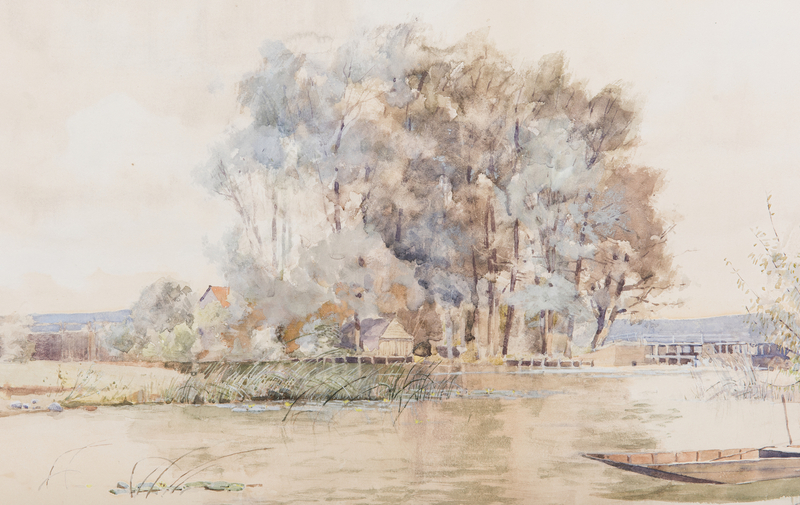 This painting was likely created with a limited palette during Brangwyn's "grey period" early in his career, before his journey in 1888 to the Near East of Istanbul and the Black Sea, where his work was influenced by brighter colors and light. 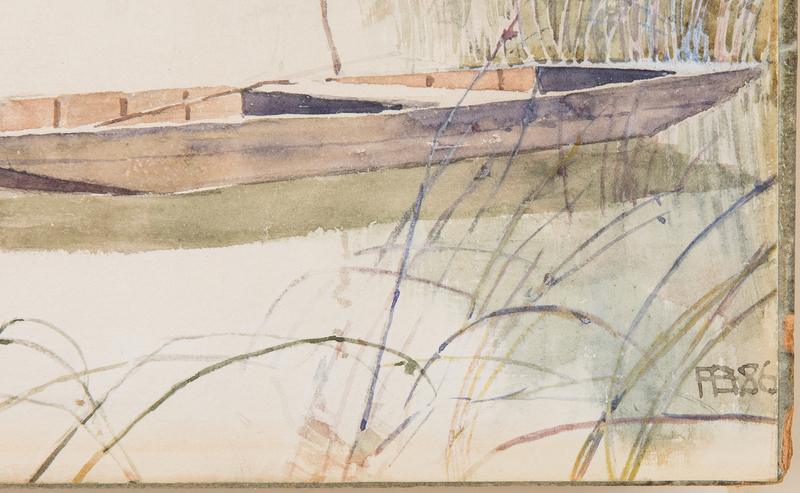 He may be best remembered for his murals, which adorn the walls of the Missouri State Capitol, the RCA Building in New York City, and the Dunedin Public Art Gallery in New Zealand. 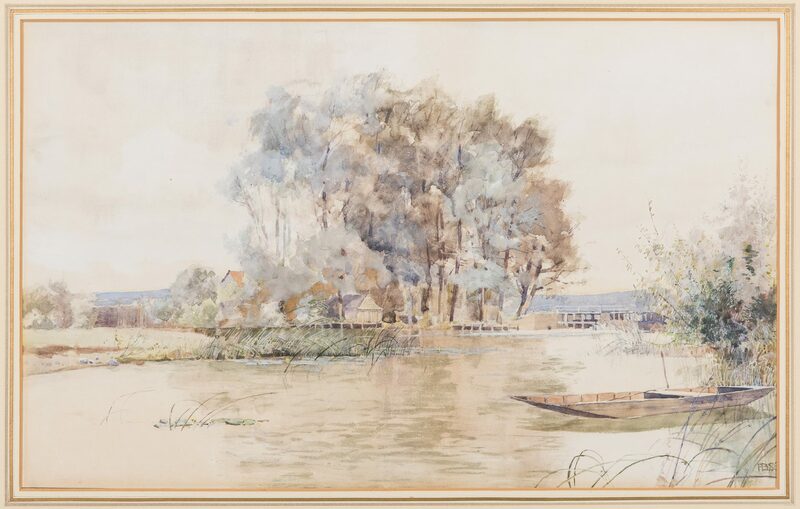 CONDITION: Image is loose from French matte. Some light fading to image.